Preethiarts sells original large abstract and modern paintings with Colorful fine art on canvas using high grade oil and acrylic paints for contemporary and beautiful homes and offices. 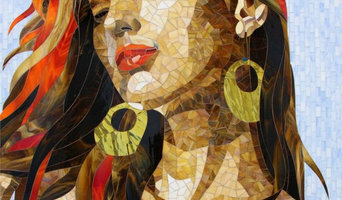 Full service mosaic art studio. Gallery Direct Art is America’s leading online Art Gallery for Collectible and Fine Art Prints, Canvas and Sculpture from the World’s Leading Artists and Publishers. From Gallery Wraps in Custom Sizes and Mediums to Rare Prints, Animation Art, Custom Framing and Sculpture we have your walls covered. We are a real gallery with 5 Star personalized customer service. We are so confident in our quality, pricing and service we back everything with our Price Match Guarantee, Free Shipping and No Sales Tax. Design 2 Finish, LLC is an interior finishing company specializing in the quality installation of fine finishes that add aesthetic value to your home or office. 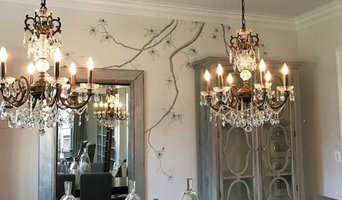 We are a full service company offering interior design services as well as installation or application in paper hanging, decorative painting, faux finishing, decorative plasters and gilding. 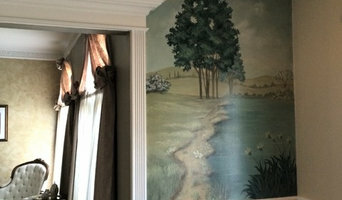 We also do interior painting without faux or decorative touches, including walls, ceilings, and trimwork. Situated in southern York County, we serve all of south central Pennsylvania including York, Harrisburg and Lancaster, as well as Harford, Carroll, Howard, and Baltimore Counties in Maryland, and northern Virginia. By special request, we can travel outside of this area to accommodate our clients; if you move and want to take our work with you, we can help! Working with your designer, from your ideas, or with our design assistance, we can transform your home or office into a beautiful environment. From cottage to castle, from design to finish. ABOUT JANIE: Janie Reeves, C.P. graduated with an Associates degree from the Fashion Institute of Technology (F.I.T.) in New York, and continued to the University of Maryland where she earned a Bachelors degree in design. After working in retail management and sales, and becoming a mother, Janie’s interest in old homes and paper hanging led her to start a business in interior design and finishing. Wallpaper and roll and brush painting didn’t answer all interior design challenges, so, gradually, Janie added decorative painting techniques to her repetoire. Her curiosity about old world finishes and the desire to improve her skills led Janie to classes at schools and studios throughout the United States studying under Master painters from the U.S. and Europe. She attended The International Salon of Decorative Painters. Janie has displayed her work at the Salon and was later invited to attend as a member, a recognition held by only a few decorative painters worldwide. Janie is also a member of The Occupational Advisory Council for painting at the Lancaster County Career and Technology Center Brownstone Campus, International Decorative Artisans League (I.D.A.L. ), and Wallcovering Installers Association (W.I.A.). Membership in all these organizations aids in the continued education of skill and technical knowledge that benefits every Design 2 Finish project. From cottage to castle, your project couldn’t be in better hands. I am David Andrew, Owner And Operator of Dasam Built. I work with wood, metal md stone. My area of expertise is reclaimed and re purposed materials, building in a wide range of "products" in the commercial and residential setting. 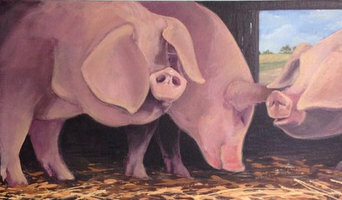 A broad range of original art as well as an affordable collection of over 300 fine art giclee prints on our website. The Red Raven Art Company is located in the heart of "Gallery Row" in Lancaster City, Pa. We feature over 8 established artists each month and sponsor an emerging artist's program. Our growing website is home to more than 25 visiting artists with a large offering of original fine art and fine art prints. Art styles range from traditional to whimsical. Manufacturer and designer of Reclaimed Barn wood products to suit your needs . 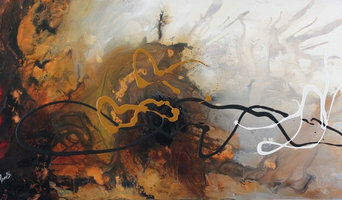 David Bottini's paintings are in collections throughout the US and his art has been exhibited in Santa Fe, Philadelphia, Providence, Sarasota, Washington, DC. Savannah, and Baltimore.